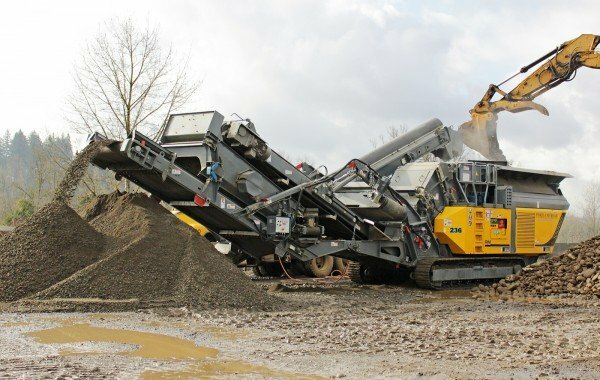 The optimised impact arm geometry and RM crusher technology fine-tuned to each application ensures not only high outputs of up to 250 t/h with hard stone, but also the highest quality, homogenous final grain. At the same time, the wear costs of the mobile crusher remain low, even when processing granite, basalt or other hard rock. Find out more about specific application examples here. RM would be pleased to advise you, if you have a tough job for an RM crusher. In the land of unlimited possibilities, there are unlimited challenges. A construction company in Portland was looking for a crusher that finally met all their requirements: recycling, quarrying, complies with all US health and safety requirements and produces perfect value grain. The solution: RM 100GO!